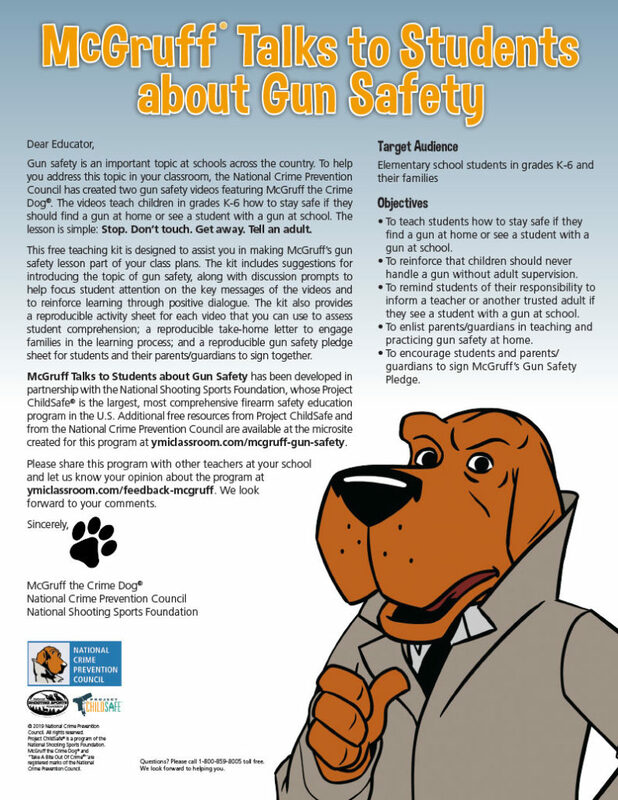 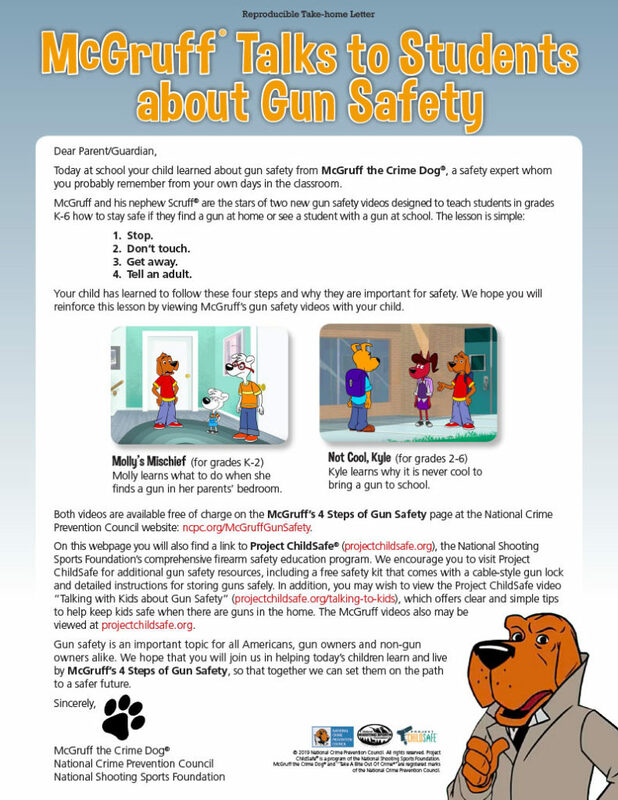 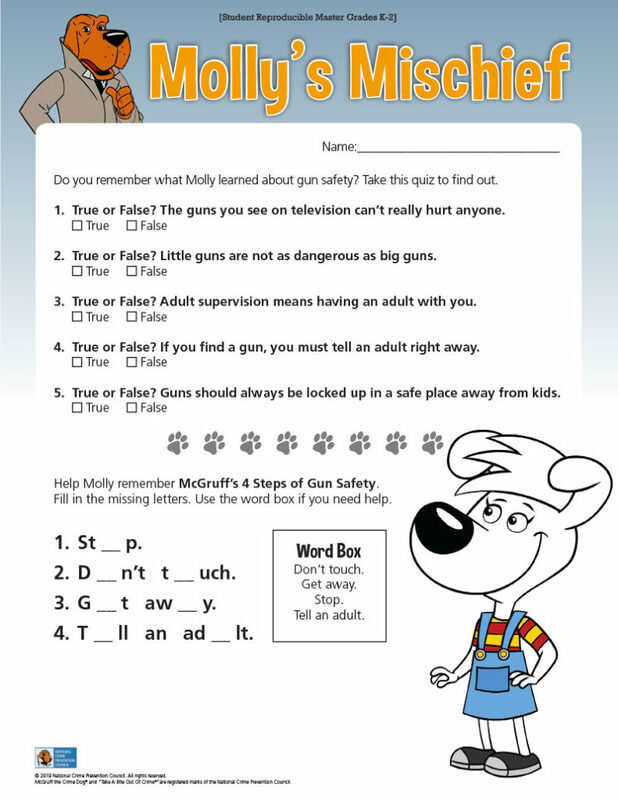 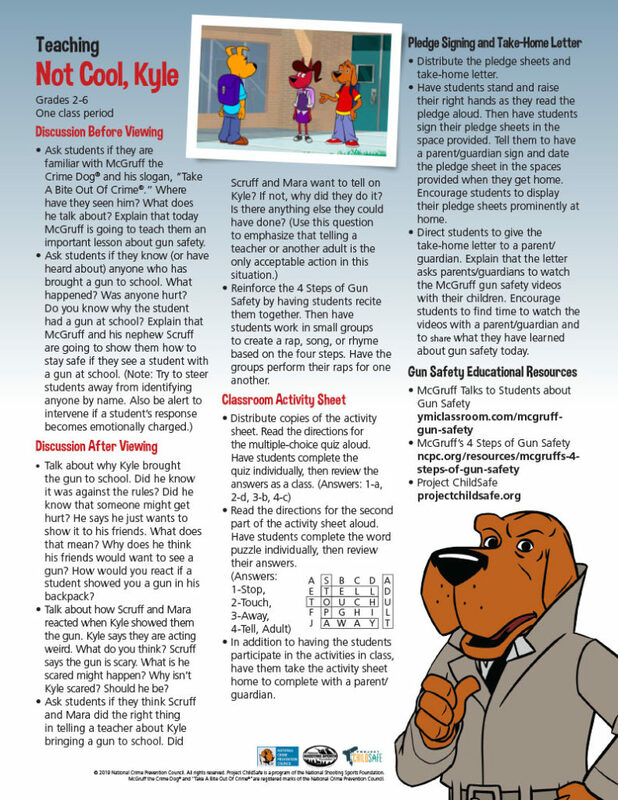 This free teaching kit is designed to assist you in making McGruff’s gun safety lesson part of your class plans. 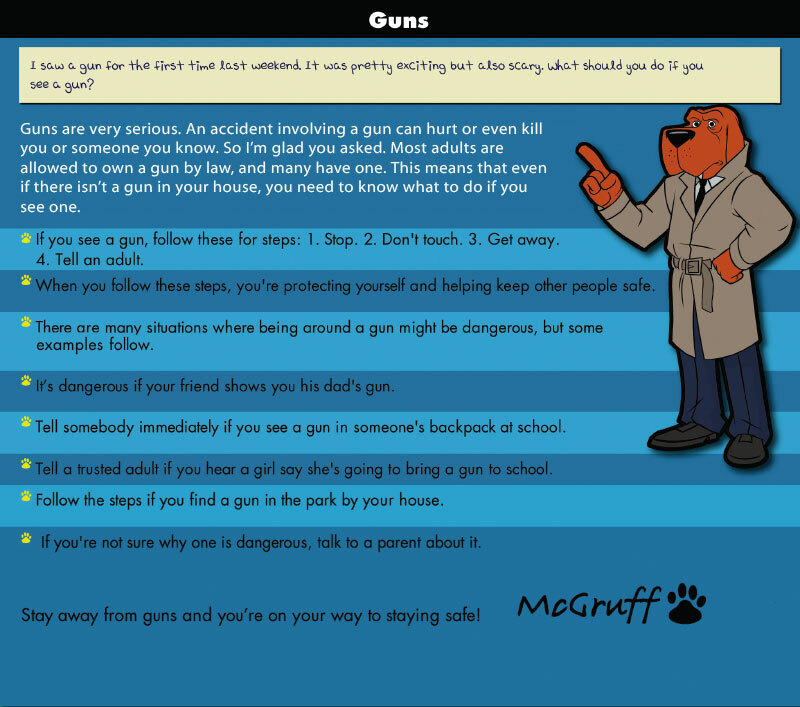 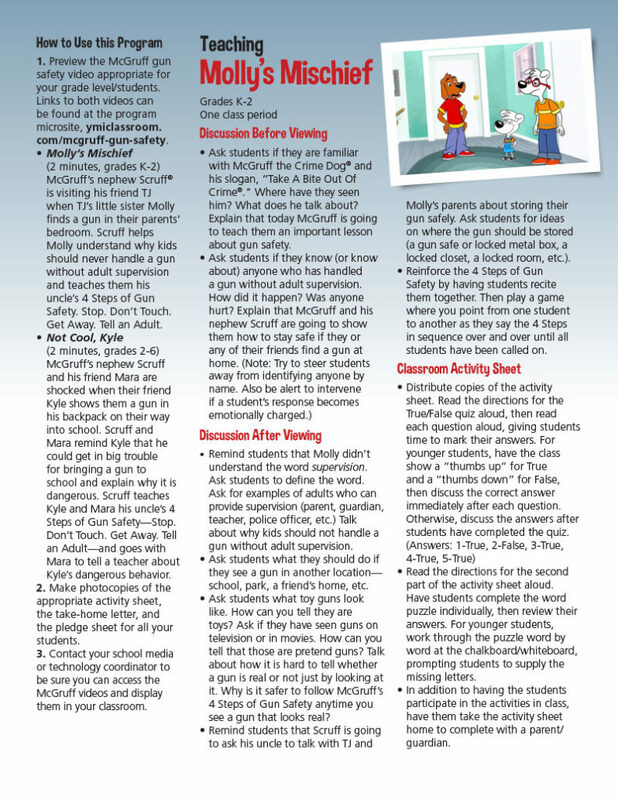 The kit includes suggestions for introducing the topic of gun safety, along with discussion prompts to help focus student attention on the key messages of the videos and to reinforce learning through positive dialogue. 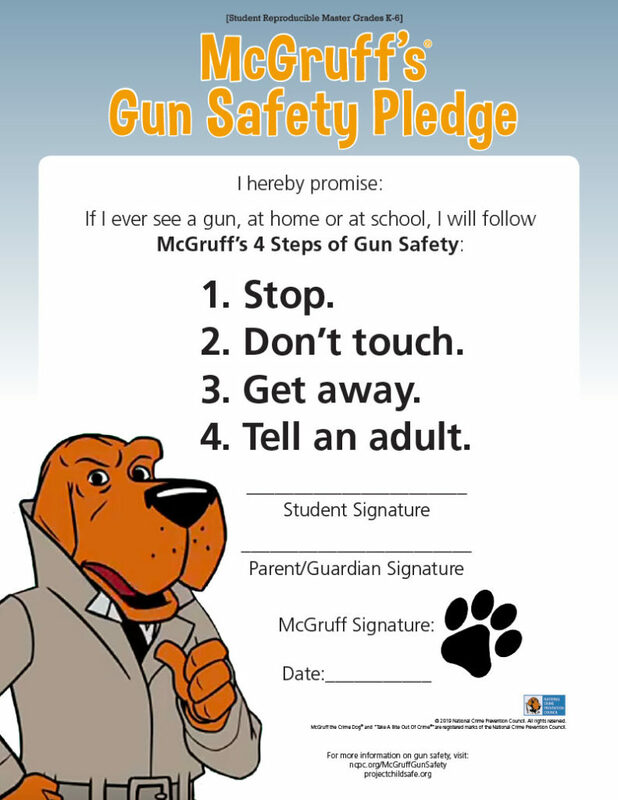 The kit also provides a reproducible activity sheet for each video that you can use to assess student comprehension; a reproducible take-home letter to engage families in the learning process; and a reproducible gun safety pledge sheet for students and their parents/guardians to sign together.